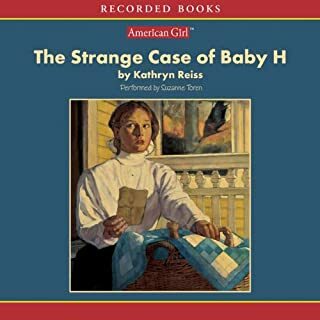 In the immediate aftermath of the great San Francisco earthquake of 1906, 12-year-old Clara and her family find an abandoned baby, apparently orphaned in the quake, on the steps of their boarding house home. But Clara suspects that something about the baby is not as it seems. Following her suspicions through a city consumed with fire and devastation, Clara discovers that while the earthquake has brought out the best in some people, it has brought out the worst in others. In order for Suzette's papa to stay with his Ojibwe family year round, he must win the fur-trapping competition at Fort LaPointe Island in Lake Superior. But a troublemaker is sabotaging the competition-and making it seem like her papa's fault! 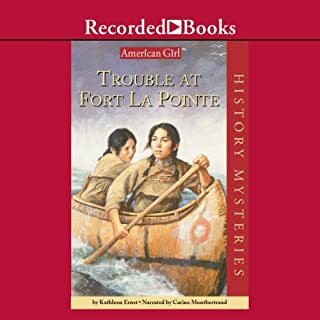 To keep her family together, Suzette must use both her French and Ojibwe heritage to solve a dangerous mystery in this thrilling mix of historical fact and fiction. Swept up in the great gold rush of 1897, 12-year old Hetty McKinley heads north with her papa and her dashing uncle Donall. Even though she is not nearly as excited as her father about leaving behind their life in San Francisco, Hetty plans to use the experience to get started on her dream of becoming a writer. 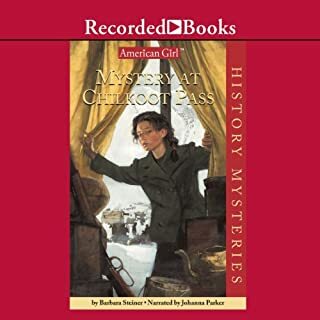 The beloved American Girl History Mysteries features intrepid girls faced with intriguing situations. The author of this installment, Kathryn Reiss, has received the ALA Best Book for Young Adults Award. In Riddle of the Prairie Bride, it's 1878 and Ida Deming and her papa are looking forward to meeting his mail-order bride. But is this woman really who she claims to be? In the fall of 1955, twelve-year-old Dawn Rae Johnson learns she will be the only one of her friends attending a previously all-white school. However, not everyone supports integration and Dawnie must endure the realities of racism firsthand. In time, Dawnie learns that the true meaning of justice comes from remaining faithful to the integrity within oneself. One fateful day in December, Piper Davis awaits news of her brother, a soldier on the battleship Arizona, stationed in Pearl Harbor. As Piper learns about the harsh realities of war, she understands that she has the power to make a difference. Angeline Reddy is the daughter of a famous lawyer, but she's no stranger to rule-breaking. Growing up in the wild gold-mining town of Bodie, California, in the 1880s, Angeline has seen it all -- saloons, brawls, dance halls, and a whole lot of desperation. But nothing's more exciting than seeing her daddy, Patrick Reddy, in action in the courtroom. Yet when Angeline's beau, a detective, ends up on trial, she finds herself tangled in a dangerous mystery as she attempts to help clear his name. Having fled the turmoil of Scotland, Elspeth Monro is learning to love her life in 1775 North Carolina. She likes her new friend and her weaving apprenticeship. But as Loyalists and Patriots strive to recruit her neighbors, a shadowy figure threatens her family. Davina Porter's nuanced narration highlights the polished prose of Kathleen Ernst, nominee for Agatha and Edgar Allen Poe awards. 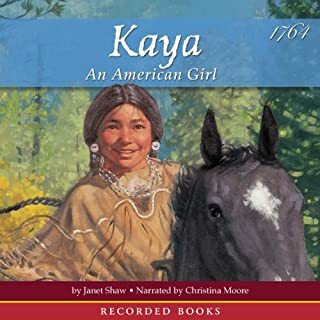 Listen to more American Girl titles. 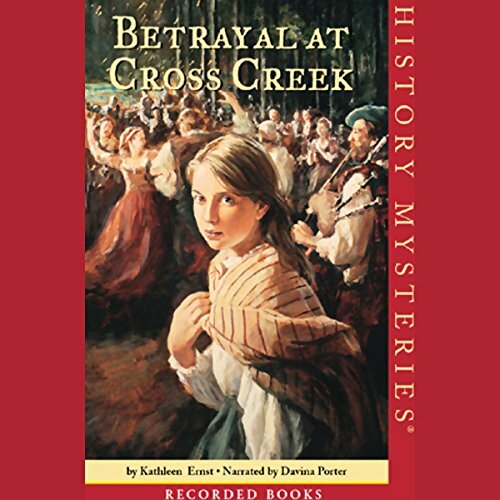 This is a wonderful combination of mystery with lots of historical bits carefully added in to make you feel like you are a Scottish immigrant in North Carolina. If you like this period of time check out Diana Gabaldon's Outlander series. Really enjoyable, couldn?? ?t stop listening! I have read every Outlander book, and because the story in this book runs parallel to part of the Outlander book, Echo in the bone, it was like listening to the Echo in the bone from another perspective. 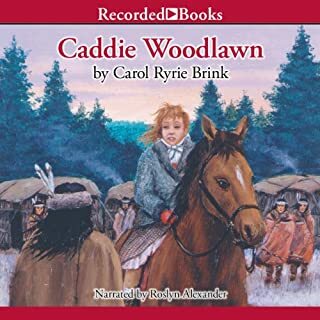 This is a story of a young Scottish girl who lives with her grandparents during the time England is trying to recruit Highlander immigrants into the war against Patriots in North Carolina. The story describes how the girl?? ?s grandfather tries so hard not to take side. Patriot or Loyalists and what happens once he finally makes his decision. This along with the mystery, intrigue and historical details and Davina Porter?? ?s narration of the story makes an enjoyable listen. While listening see if you can pick up the voices Davina uses for Claire, Jaime, Ian, and other beloved Outlander characters in this story. I was anticipating a great read after absolutely loving the American Girls Mystery Riddle of the Prairie Bride, this book although good fell short of my expectations. 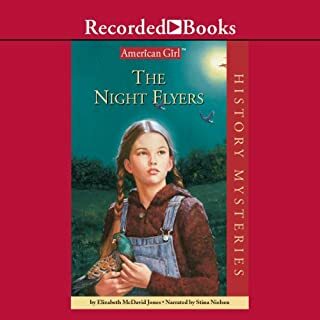 Perhaps it was the constant Loyalists vs. Patriots focus that doesn't grab my interest as much as some of the other eras that the American Girls History Series use. The story also lacked any strong minor stories being interwoven into the story, or natural disasters or other exciting events like you see in a classic Nancy Drew Mystery. That all said it is still a good book and the twist towards the end when you find out who is the informer is brings the sotry together well. Great, quick listen! Historically based and interesting. Enjoyed this quick listen. Based on historical events and portrays what it would have been like for many Scottish Americans during the uprisings of the American Revolution. Narrator does a nice job as well. This is really good book. The writer got into the politics if the 45 and the revolutionary war to make one amazing book. It teaches you about history well you are also being entertained. This would be a great purchase. Love this book. It does patriots sound a little mean but it was a war back then, not many people could afford to be kind.